If you use a password or other secret codes like most of us, you must protect them because they validate (or authenticate) your identity. A secret code in the hands of identity thieves can facilitate the theft and abuse of your accounts. You probably own and use a bunch of secret codes such as Personal Identification Numbers (PIN) to access the cash in your checking, savings or credit card accounts using the Automated Teller Machines (ATM) or you may use a password to access various websites on the internet to manage your accounts, or simply log into the corporate network to check emails and access files. As you can see, the list is unlimited in terms of the use of secret codes in the modern day we live in. These are just some examples and identity thieves can be pretty creative when it comes to using someone else's secret codes or identity, when given the opportunity. 1- Never write them down to remember them later. Memorize the main ones or the high risk ones. 2- If you had to write some of them down, then write only the less critical ones and write them in a coded matter (or encrypted) that only you can remember what the secret code was. You can create your own coding system (or encryption) which utilizes foreign languages or other methods. 3- Don't share your secret codes with others, not even your kids. Your spouse is another matter if you want to live. 4- Make your secret codes or passwords are pretty strong and difficult for others to guess what they are. For example, use at least a 6 character long password, and make those 5 characters a combination of letters and number, upper or lower case, or even special characters like "@", "%" and "$". Passwords in general should be hard to guess by thieves and easy to remember by you so that you don't have to write them down. 5- Change your secret code often. The frequency by which you should change your passwords and other secret codes depends on the sensitivity of the information that the secret code can access. Changing the secret codes frequently will primarily ensure that you stop the use of your secret codes by a person who has obtained them and may have even been using them for a while to access your accounts without your knowledge. 6- Never store your secret codes along with your account numbers, e-mail address or your access cards. This will really make the day for the identity thieves. Can you imagine the precious gift that you offer to identity thieves if they steal your wallet and discover your debit card along with the PIN attached to it? 7- Don't use known personal information as passwords. Some people may use their social security number, date of birth, child's name, and other known personal information as their passwords. This is not smart especially since a lot of these personal information are already known to the public or can easily be guessed. 8- Try not to use the same pass code for all your major accounts. Again, this is about reducing risk. If your passcode becomes known, it will provide access to many of your major accounts. Reduce your risk by limiting the access that each passcode provides. 9- Don't store your passcodes on your PC. Especially, if you use your PC to access the internet. You will expose your passcodes to unnecessary and greater risks if you do. 10- Don't enter passwords on public computers. If spyware is installed on non-personal computers, your passwords can be stolen as you type them. 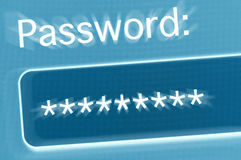 Return to the home page from "password tips".